The beautiful Kerala Backwaters and Kerala houseboats are famous among the tourists all over the world. The tourists have excellent opportunities to experience these backwaters.Kerala backwaters are a chain of brackish lagoons and lakes lying parallel to the Arabian Sea. Kerala, popularly known as God's Own Country, is sandwiched between the Western Ghats and the mighty Arabian Sea.It is one of the most popular holiday destinations in India. What made Kerala so popular among the tourists?The breathtaking beaches, mesmerizing backwaters with the heavenly houseboat cruise, beautiful hill stations like Munnar,cascading waterfalls, world famous boat races through the emerald waters, colorful festivals like Onam, Kerala Boats etc made Kerala one of the most desired destinations for the tourists all over the world. 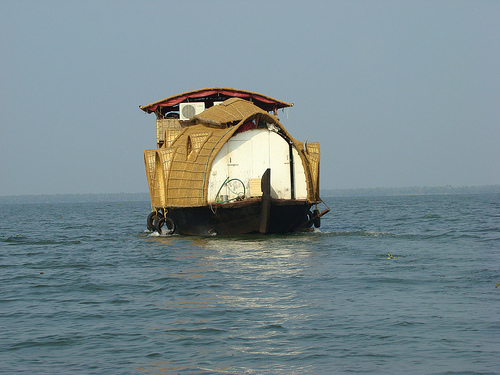 The beautiful Kerala houseboats in backwaters are the unique products of this charming land. For accommodation, there are also great resorts, hotels and guest houses. Some of the popular backwater destinations are Alleppey, Kumarakom, Kollam and Fort Kochi where the tourists enjoy their vacation with a beautiful and luxurious houseboat cruise. There are different ranges of houseboat cruises, to suit every one's budget. 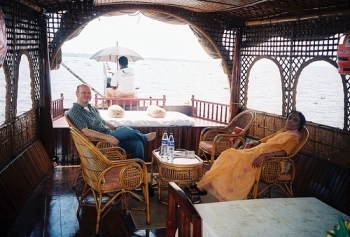 Cruising in houseboat in the beautiful Kerala backwaters is a unique and blissful experience. 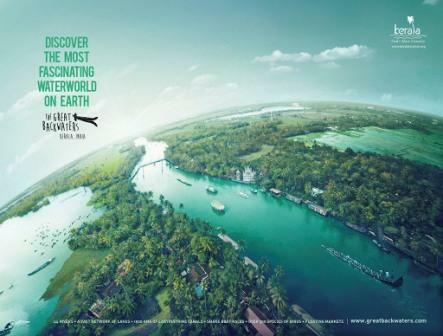 This is one of the most remarkable experiences Kerala offers to her visitors. Today's houseboats are a reworked version of kettuvallam (the olden type of boats used in Kerala) to suit the visitors' need of leisure, which is also slow moving so that they can enjoy the cruise to their fullest in the cool backwaters. These houseboats are provided with a good hotel's facilities like furnished bedrooms, modern toilets, cozy living rooms, a kitchen and even a balcony for angling. A cruise in this type of houseboats in the backwaters is a memorable and magical one, which cannot be explained in words, one has to experience it. To make it more magical, the meals are cooked onboard and supplemented with freshly cooked fish from the backwaters. These houseboats can be rented for a single day, or two days, or three days and even for a couple of weeks. They have unique accommodation facilities and a slow journey in these houseboats will be a great excitement for any one. For honeymooners this breathtakingly beautiful backwaters of Kerala provide a cherishing memory for their life.